HMS Troutbridge comes home, dragging vessels from around the world behind her. Stars Leslie Phillips. From July 1967. HMS Troutbridge comes home, dragging vessels from around the world behind her. 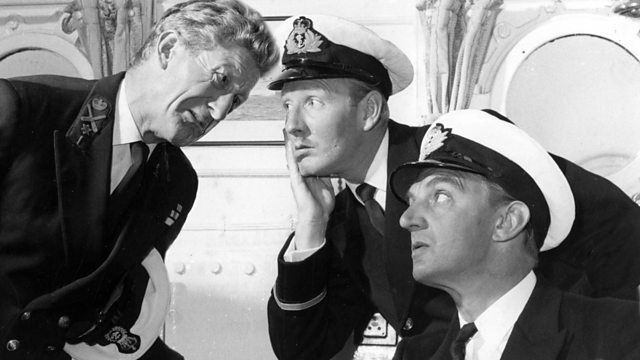 Stars Leslie Phillips as the Sub-Lieutenant, Jon Pertwee as the Chief Petty Officer, Stephen Murray as the Number One, Richard Caldicot as Captain Povey, Heather Chasen as Heather, Ronnie Barker as Captain Hardcastle, Tenniel Evans as the Admiral and Michael Bates as Captain Atchinson.